I’m looking at my notes for today, and wow, were we busy! Good thing I took some notes along the way, because this morning already feels like a day or two ago! So we started with an English breakfast at 6:45 this morning. The phrase “continental breakfast” comes from the British, to distinguish the simple, cold breakfasts common on the European continent from the English breakfasts that they’re used to. Breakfast had…I don’t even remember everything. Sausage and potatoes and eggs and ham and bacon and baked beans and fried mushrooms and probably more, PLUS toast and cold cereal and croissants and coffee and tea and juice and yoghurt… It was an impressive spread. We’ve been told to expect this most mornings. But because it was early morning and I’m used to a simple breakfast, that’s what I had. Croissants and tea and orange juice. Three of each, actually. Then on the bus at 7:30! We got a bit of a geography lesson on the drive: Roxy explained the meanings (and historical relevance) of the terms Britain, Great Britain, The United Kingdom, and England, as well as how Scotland, Wales, Ireland, and Northern Ireland fit into the picture…plus how the politics are structured now with how the various countries are governed by both independent parliaments, a shared parliament, and a shared monarch. And then we went to Liverpool! 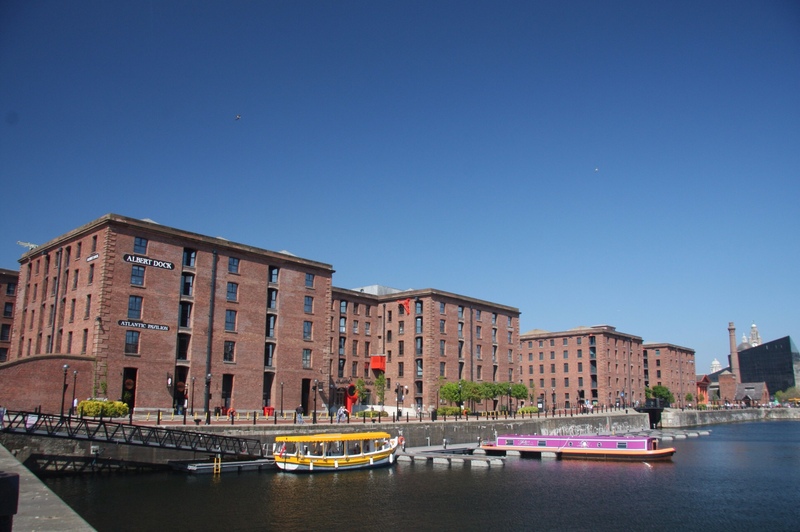 Of course, the thing to do in Liverpool is Beatles tourism, and we certainly did that! We had a local tour guide come on the bus and she gave us the “Magical Mystery Tour”: she told Muffin where to drive us, and she pointed out all the sights: where the various members of the band went to school, grew up, met, what bus route they took, where some of the locations mentioned in the songs were, and so on. 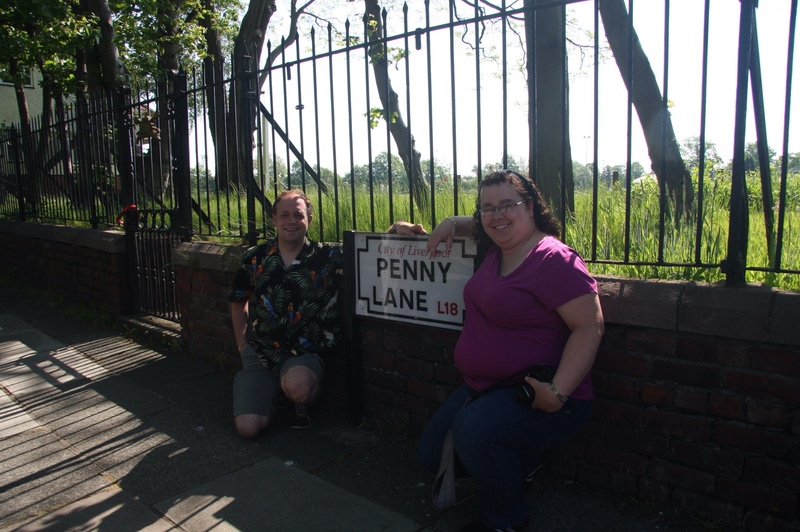 (So we saw Penny Lane and where Strawberry Fields was, but for some reason not Abbey Lane.) She also told us a bit about the history of the band, and how it grew from the Quarrymen into the Beatles. Guess what song the guide played as we drove along this street? While in town, our tour guide Jackie also told us the story behind the fairly distinctive Liverpudlian accent. It’s because of the history of the city: a huge number of Irish people moved there during the Irish potato famine. So the Liverpool accent has a significant Irish component to it: there were so many Irish people that it influenced the accent of the entire city. She also pointed out a couple non-Beatles landmarks, like the former offices of the White Star shipping company, and the balconies where the owners stood to announce to the public that the Titanic had sunk. Afterwards, we had some free time. 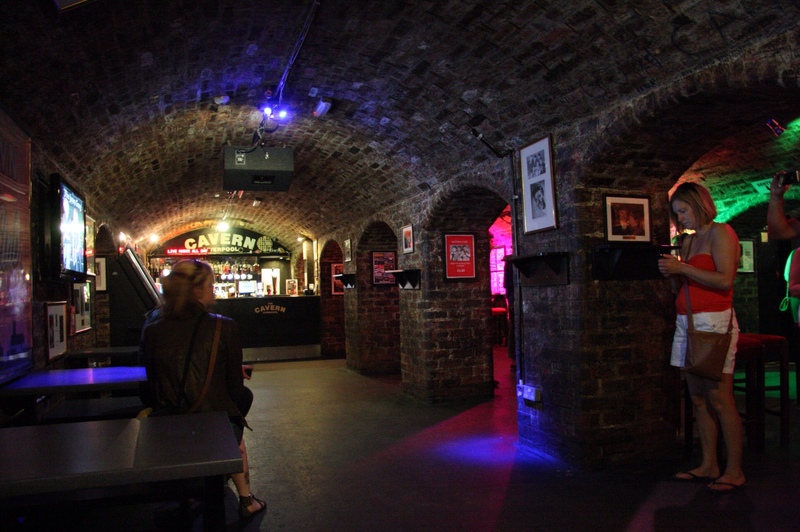 We walked down to The Cavern Club, which calls itself “the most famous club in the world”. 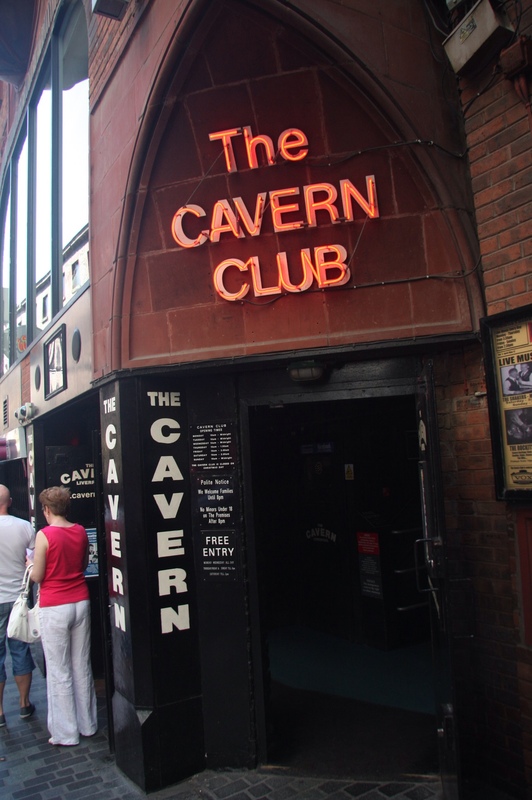 It’s most well-known for being the place where The Beatles first performed and made a name for itself, but loads of other bands performed there as well and their names are written all over the walls. Some of the names I saw and remember are the Rolling Stones, Eric Clapton, Elton John, Queen…loads more, many of whom are quite well-known, but my memory fails me. I ordered a drink while we were there (just a coke) because it seemed like the thing to do. The stage where the Beatles first performed. 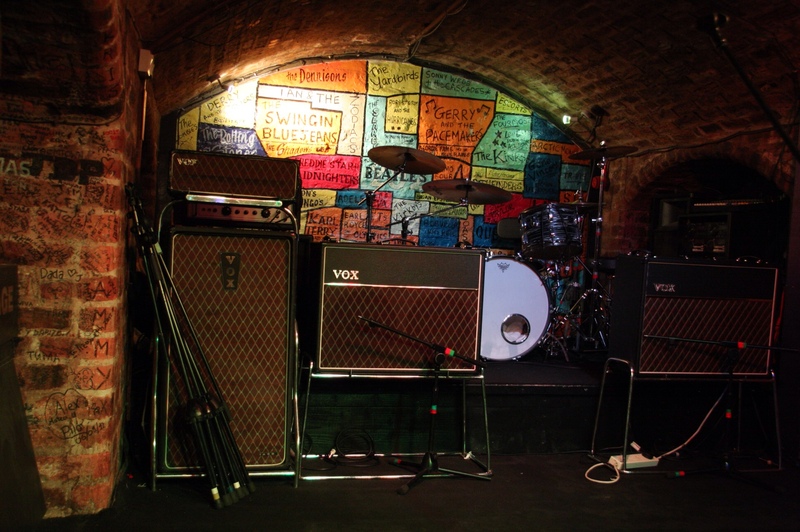 Inside the Cavern Club. It’s smaller than it used to be. It was a very nice wait for the bus though, because today was another gorgeous day! Not a cloud in the sky; blue from horizon to horizon. Everywhere we go we’re hearing how lucky we are with the weather! It reminds me of when I was in Alaska and kept hearing the same thing. Anyway, that was Liverpool! A neat city, kind of funky, with a different feel than the other cities we’ve been in. There’s definitely a music/pub scene going on, and there are apparently a huge number of students theat come to atudy at the two universities…not because the universities are amazing, but because of the night life. Oh, we also saw a very big brick church. It was huge and impressive and imposing…not particularly ornate, but there was a lot of it. Our local guide described it as the largest cathedral in England (remember this for later). Also, trivia: it was designed at the age of 21 by the same guy that designed the iconic red British telephone box, and there’s one of those telephone boxes inside the church. And that was only HALF the day! 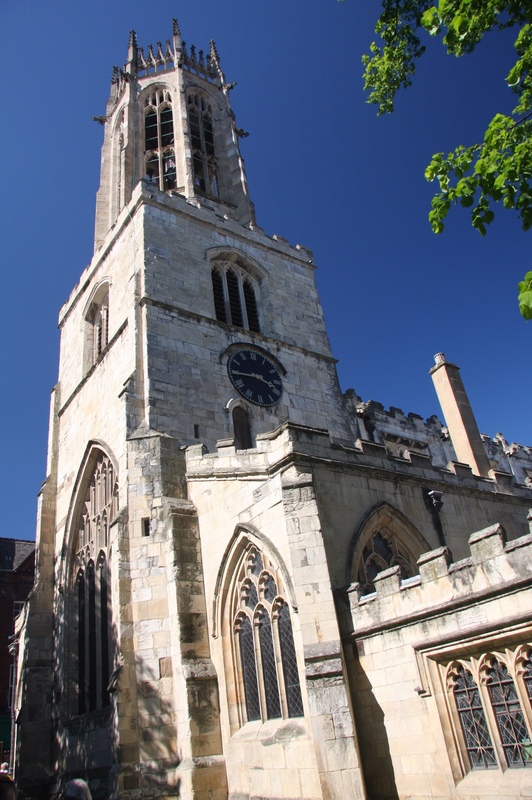 We then drove to the city of York. It’s a very old city, with lots of history: the Angles lived there, the the Vikings took over, then the Romans invaded, then the Romans left, then the Normans invaded, and so on. Everyone left their mark. So it’s got a very old city wall, and lots of very old stone buildings, and yet again it’s completely different than any other city we’ve been to so far. York feels quite medieval…a lot of the city hasn’t changed much in a few hundred years, and it shows. It’s surprising to me how different these cities are in architecture and design and atmosphere, and it always seems to relate to their history. Roxy started by taking the entire group on a walking tour of York, but about halfway along, Pamela and I abandoned the group in an area called The Shambles, which is where all the butchers used to be. 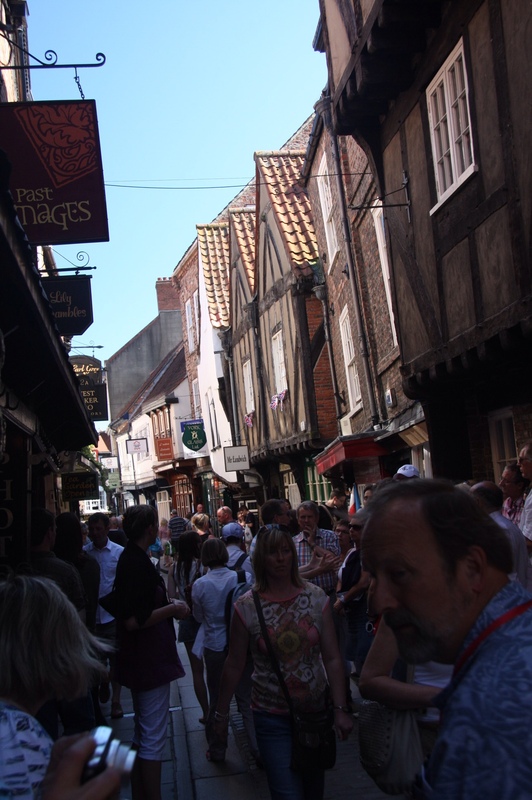 It’s all twisting roads and tiny hidden alleyways, and it’s filled with shops, including a surprising number of sweet shops (that’s “candy stores” if you don’t speak British). We wandered around for quite some time, exploring the alleys and doing some shopping and just relaxing. It was quite nice: we didn’t have any goals and we weren’t trying to cram in any tours, so for probably the first time on the Contiki tour we didn’t feel rushed. One of the lanes that the locals use to avoid the crowds. We didn’t wander totally aimlessly, though. 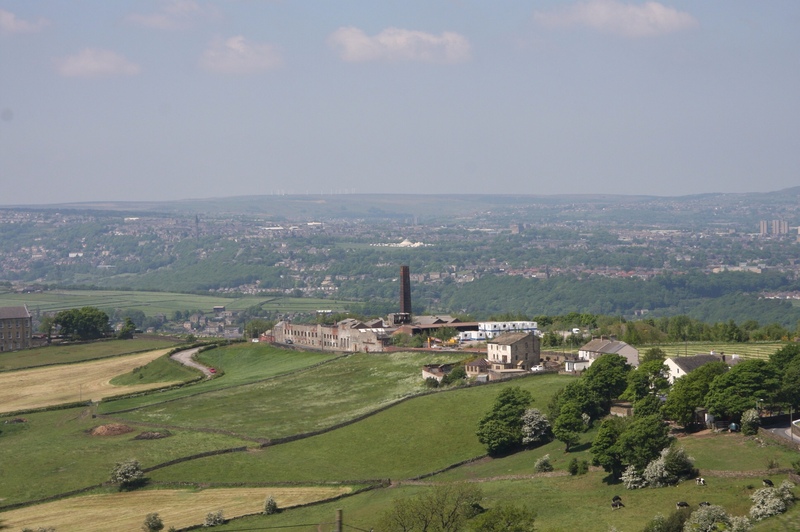 Every once in a while, we saw a tall impressive stone building in the distance, and we assumed (correctly) that it was the Yorkminster (a cathedral), and we meandered in its general direction. 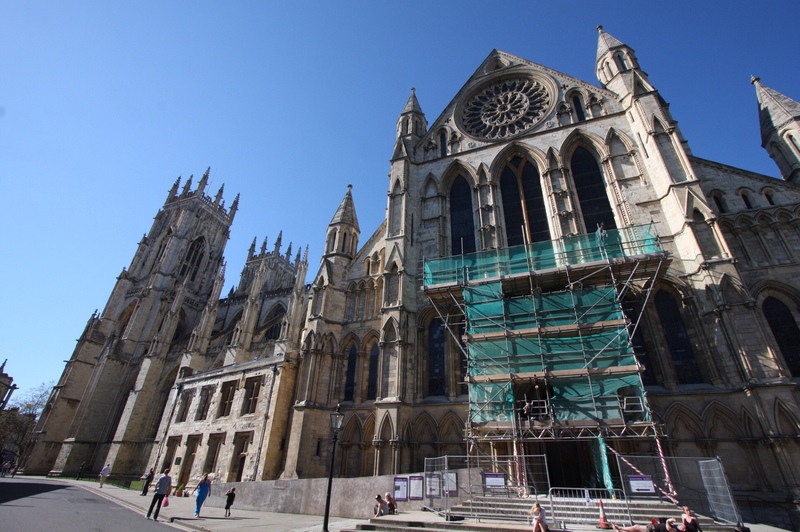 When we finally got a clear view of the Yorkminster, we were impressed by its size. Then we stepped out of the alleyway and could really see it, and were astonished. And then, just as we were taking all that in, the bells started playing! We admired the building, tried in vain to photograph it, and listened to the carillon for probably 20 minutes. A feeble attempt to photograph the long side of the Yorkminster. See those tiny people at the bottom? Another view, from around the corner. Later, we learned two pieces of trivia about the Yorkminster. First, it took about 300 years to build. Sounds ridiculous, but having seen it, I believe it (and others on our tour say it’s even more impressive on the inside). 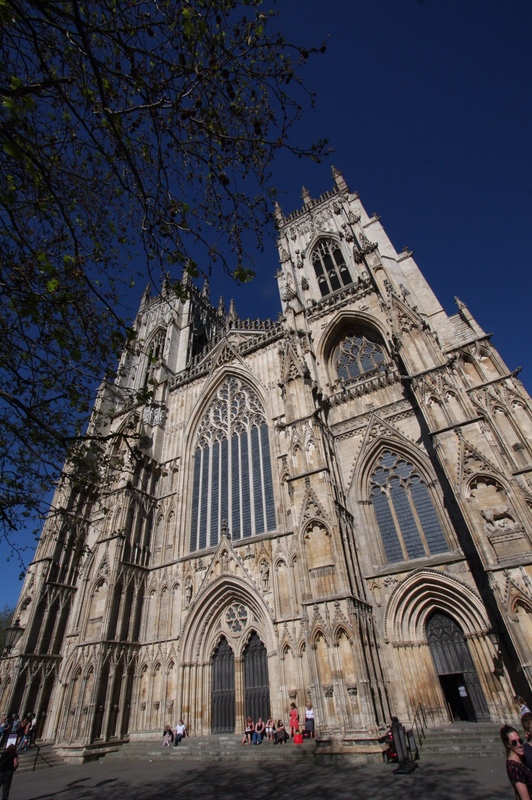 And second it’s…the largest cathedral in England. That makes two cities in one day each with the largest cathedral. There must be some technicality here that I missed out on…is one a cathedral and one a church? Is there more than one way to measure size? No idea. When we were done there, we started to make our way back to the meeting point for our group…the same place we started our walk. This was when I was really glad to have my GPS. Because I knew from the GPS where we were and where we needed to be, we didn’t need to try to retrace our path. 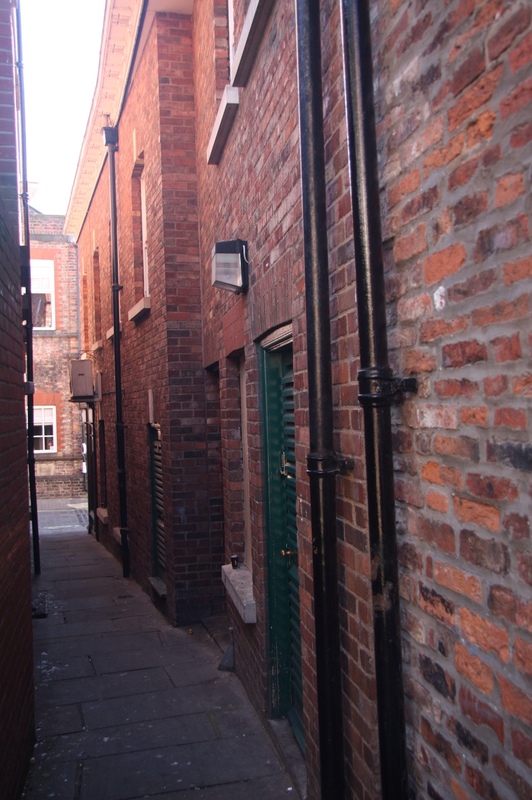 Instead, we could walk back to the meeting point down an entirely different set of streets and alleys. We found our groups and went to a pub for a local pub dinner…something that was included in our tour package. This turned out to be vegetable soup, pork roast, Yorkshire pudding (naturally), potatoes (mashed and…roasted? not sure), boiled vegetables, and some sort of chocolate cake with clotted cream. 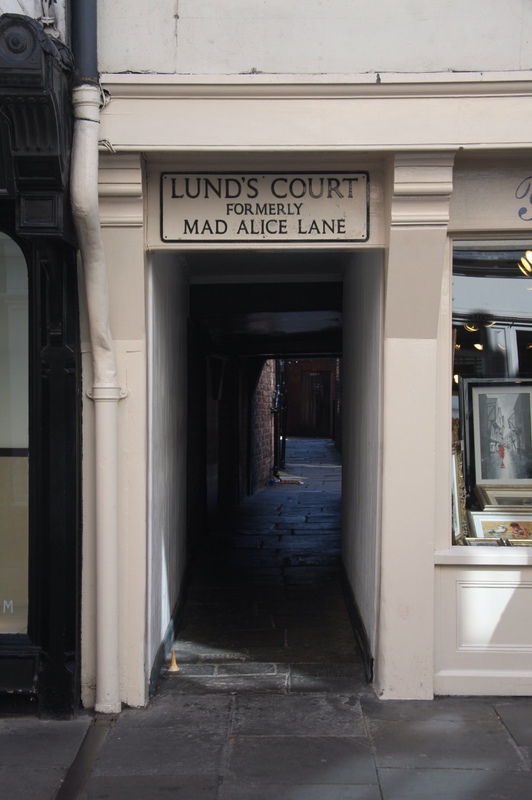 This lane got its name from one of the ghost stories. Then the city changed it. Then the locals got cranky and they put a new sign up with both names. Our guide says that everybody uses the old name. Finally, it was back to the bus and time to go to our hotel. We’re in a small town called Wetherby (pronounced “weatherbee”). This town is right on the old route from London to Edinburgh and used to e a stopover point for people making that journey, so its very appropriate that we’re staying here! It was a late arrival…we didn’t get to the hotel until around 10:00…but it’s a later start tomorrow morning too, so that balances out!